Hi everyone! 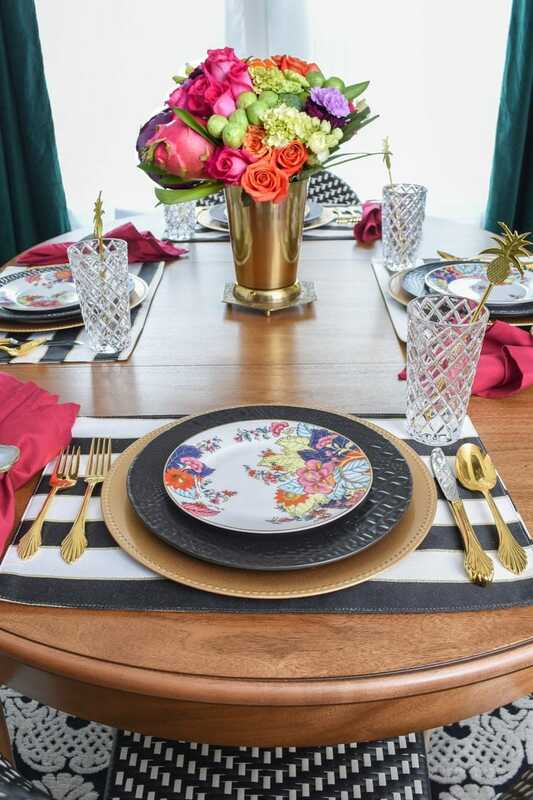 Welcome to my Spring 2019 Home Tour as part of A Stroll Thru Life’s Tour of Homes. I will sadly have to admit that I had GRAND PLANS to decorate and take photos of my home over spring break last week and then I got ridiculously, awfully ill and ended up not really doing anything during my entire spring break except sleeping and blowing my nose. I adore being part of Marty’s tours, so I got it together to showcase at least three beautiful spaces. One is completely new– well, I got a new dining table back in late January and this is it’s blog debut. 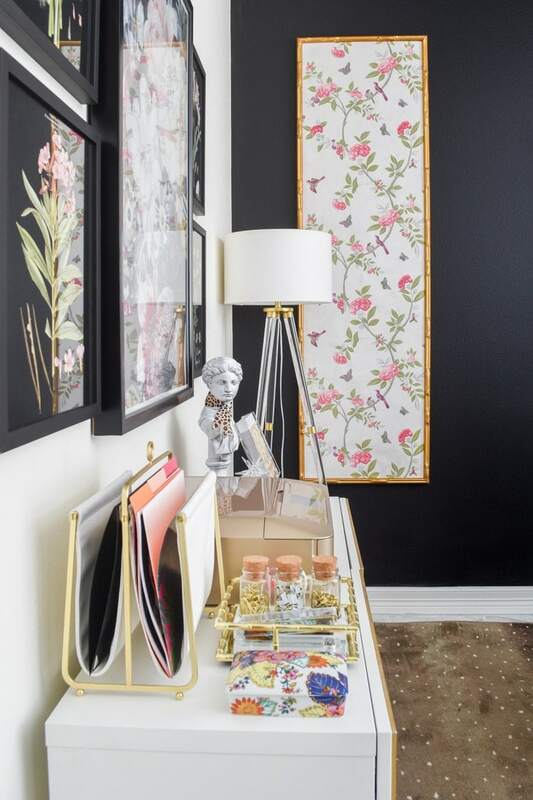 The other two rooms were completed in February and are colorful, fun and full of floral inspo for your spring and summer spaces. Let’s dive in! If you’ve landed here from The Chronicles of Home, welcome! 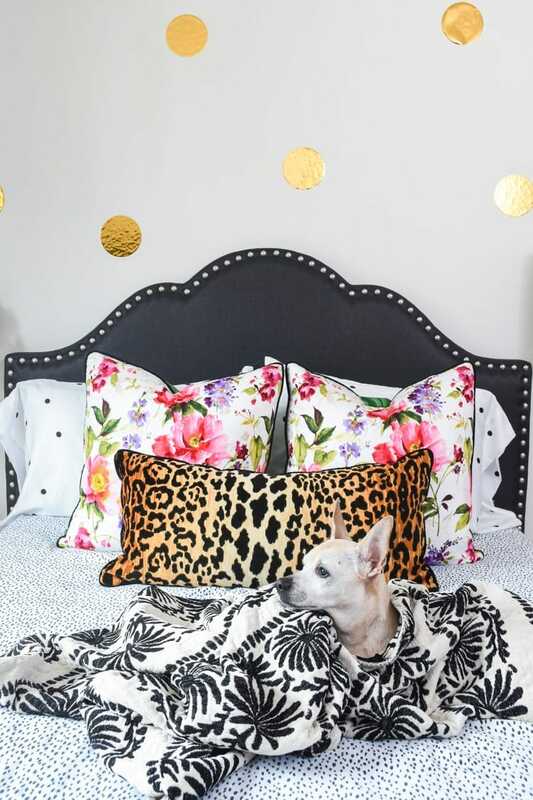 My name is Monica, and I blog about home decor, my weight loss struggles and I love finding ways to make my home look expensive on the cheap. But you’re likely here to look at pretty photos, so I will shut up and get to it. Honestly, we don’t really use the dining room that much because it was kind of impossible and cluttered with our former small, round white dining table. Our new dining table has two leaves built-in, so it can morph from small round table to giant oval table. Perfect for our needs- here it is with just one of the leaves in use. I do definitely need to invest a bigger rug, but for now it totally works. Initially, we wanted a white dining table, but the warmth of this particular finish really won me over. It’s not distressed or farmhouse, so I think it totally does mesh well in here and adds some different tones to the space. We got this table in time for a magazine shoot, and I commissioned a custom bouquet from my friend who owns Wild Veggie Bouquet. It is a stunner. 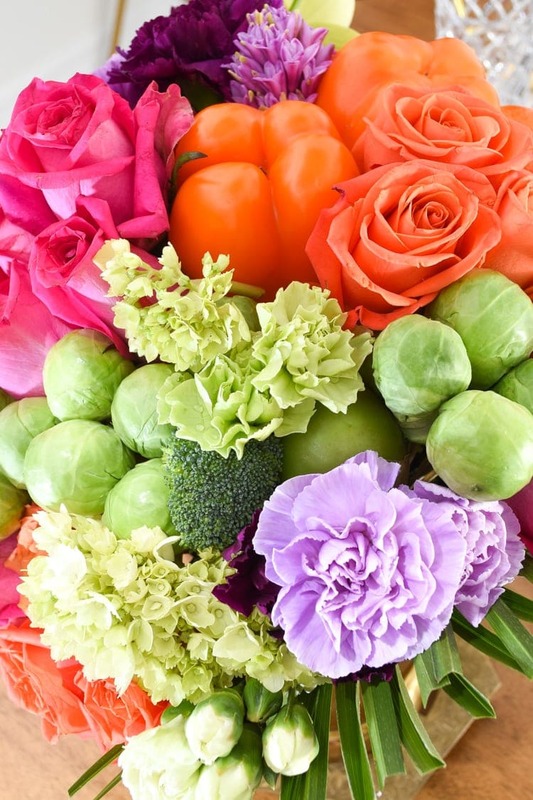 I love how she incorporates veggies, fruits and florals all together to create one of kind masterpieces. 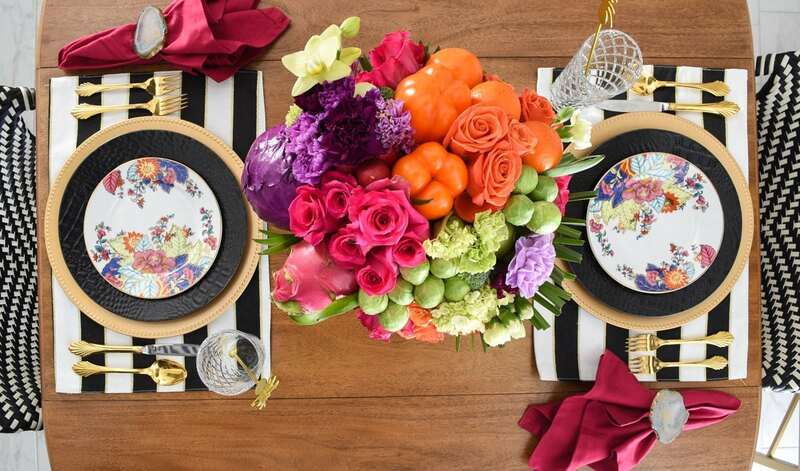 To compliment all the colors, I went for contrast and florals for the placemats and dinnerware. 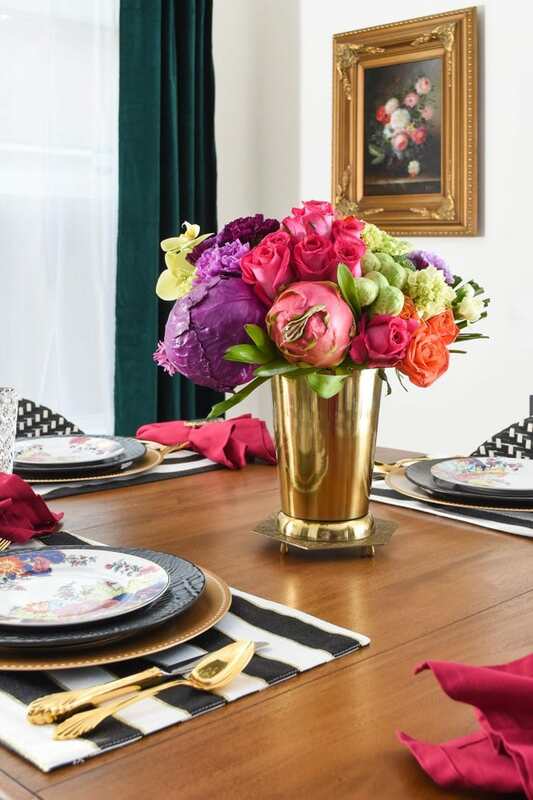 I always enjoy putting together an eclectic, colorful, feminine vibe to all my spaces. It is perpetually spring in my home office! 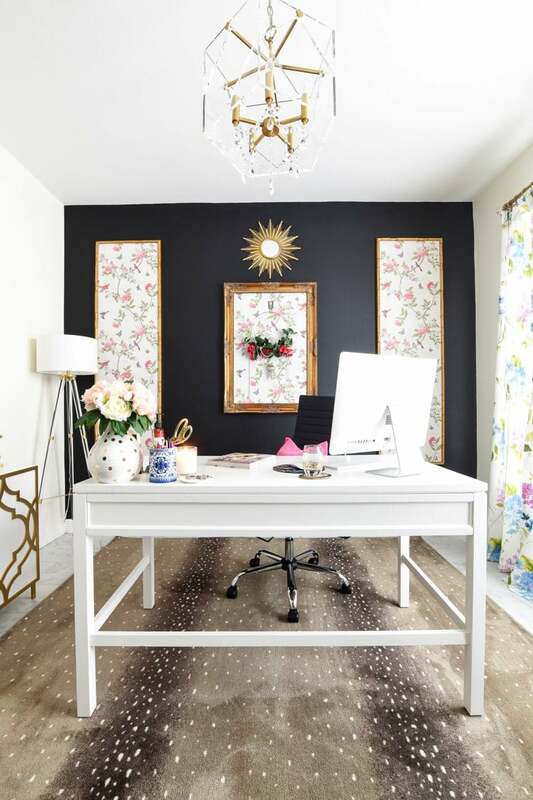 I have florals galore in this space, and I have a full home office reveal post with tons of photos and info about all the details, but here are some highlights. 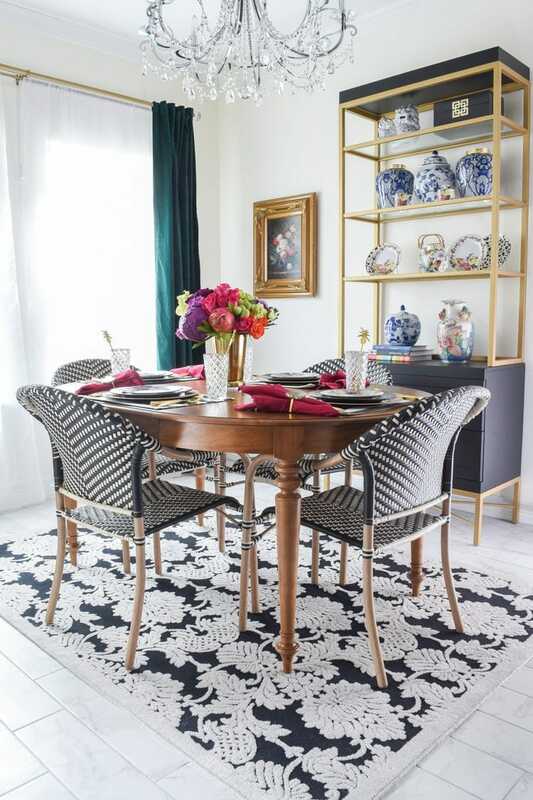 The rug is one of my FAVE things in my home, and I was honored to write about my experience with this beauty over on the Karastan Live Beautifully blog. 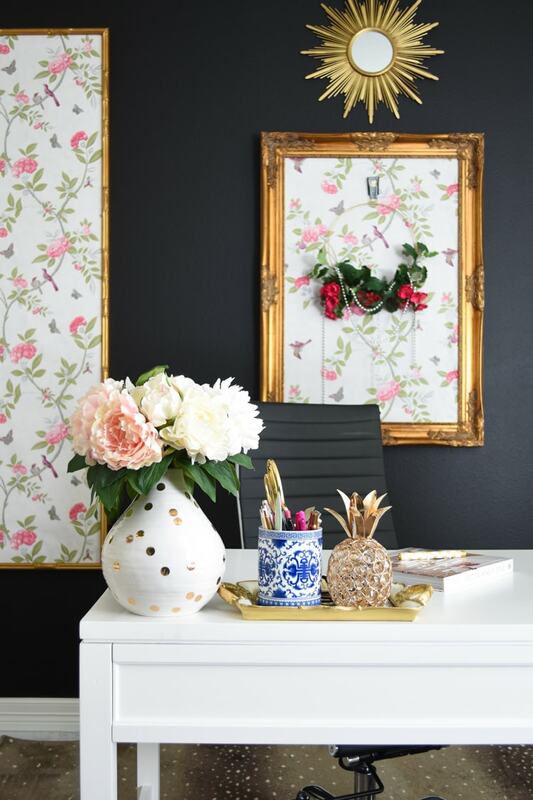 I did quite a bit of DIY to get this office done on a budget. One major project was revamping this campaign chest— it was so beat up and I brought it back to life in a step-by-step tutorial. Another decor piece I desperately wanted in here was a lucite memo board, and using my handy dandy new Cricut Maker, I made it happen using an inexpensive acrylic floating frame. 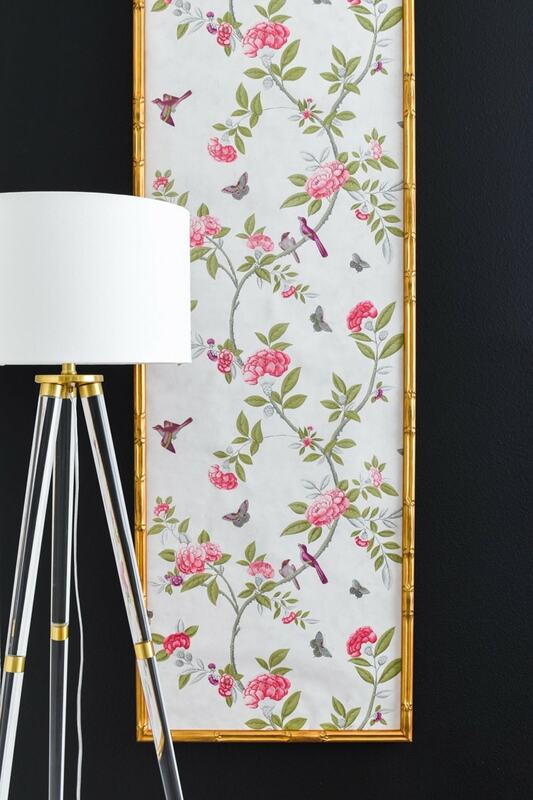 And my GORGEOUS DIY bamboo chinoiserie wallpaper panels were another big project that I also have a full, detailed tutorial about. I love how large they are and I smile every time I see them. My final space today is my newly done guest room. It was so bland and so very cluttered before this room refresh. 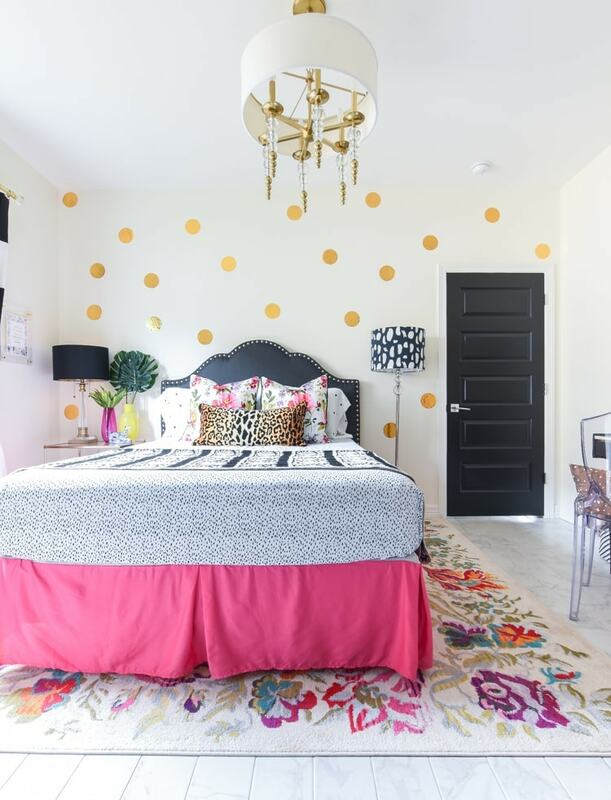 Again, there’s ton of color and pattern in this space, and if you want to see every detail, you should definitely check out the guest bedroom reveal. 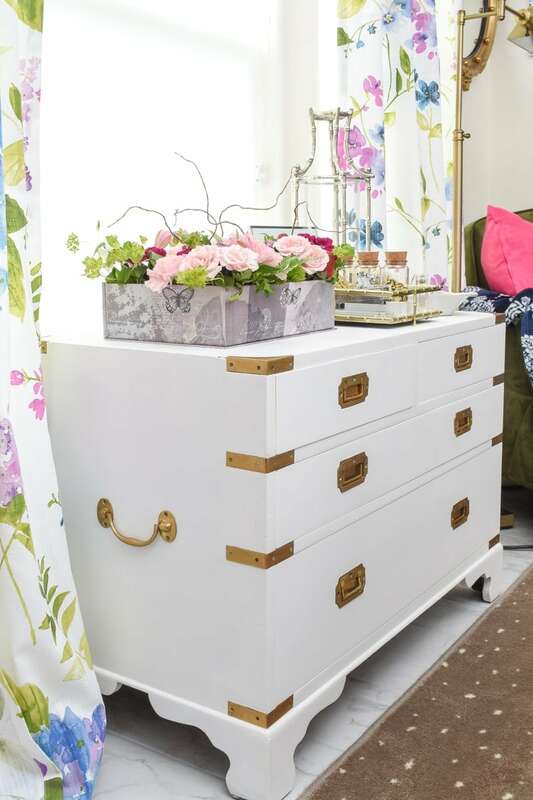 This room was truly done on a budget! The bed skirt was $15, the rug is about $100, and those polka dots were about $10 for the pack of 22. Well, that’s a wrap on my mini-spring home tour for 2019. I will have another colorful space to showcase next week, so definitely subscribe to check it out. 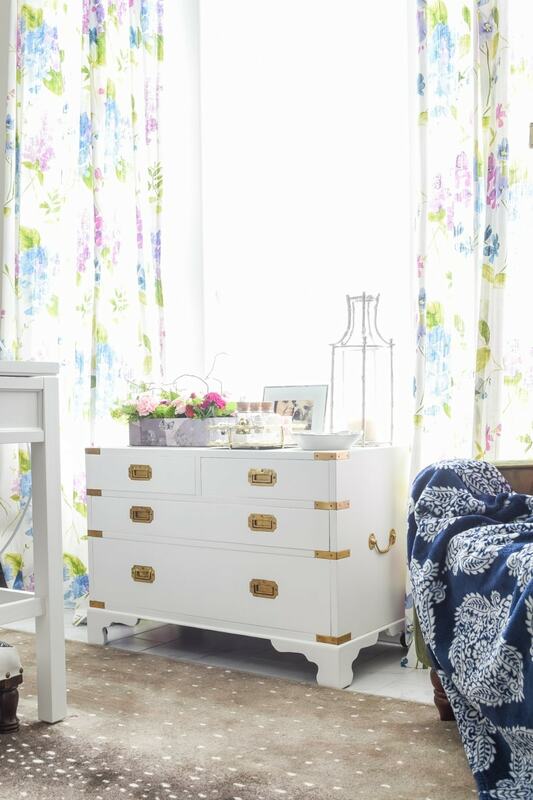 And now I encourage you to head over to Follow the Yellow Brick Home for more spring interior inspiration. xo! Thanks for stopping by. Girl, do you have style! No wonder you were getting ready for a magazine shoot! Your spaces are gorgeous!! 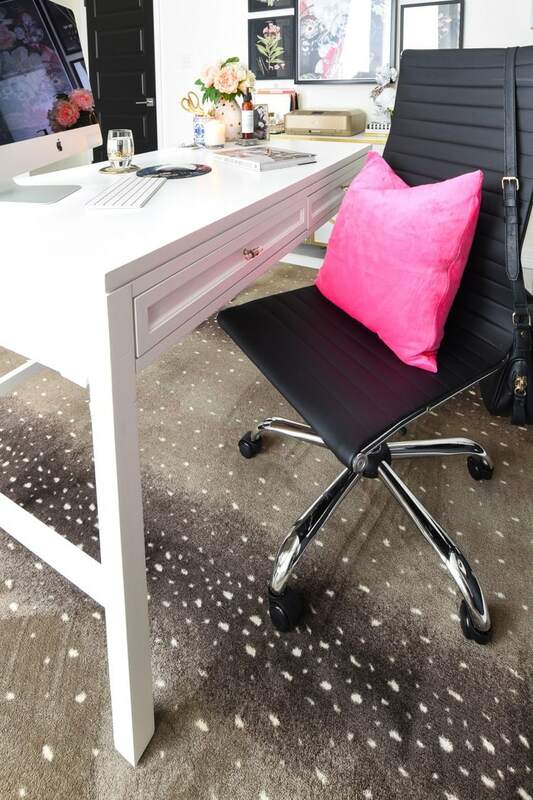 Your office has me drooling!! You have such a lovely spring home, Monica! Happy spring!! 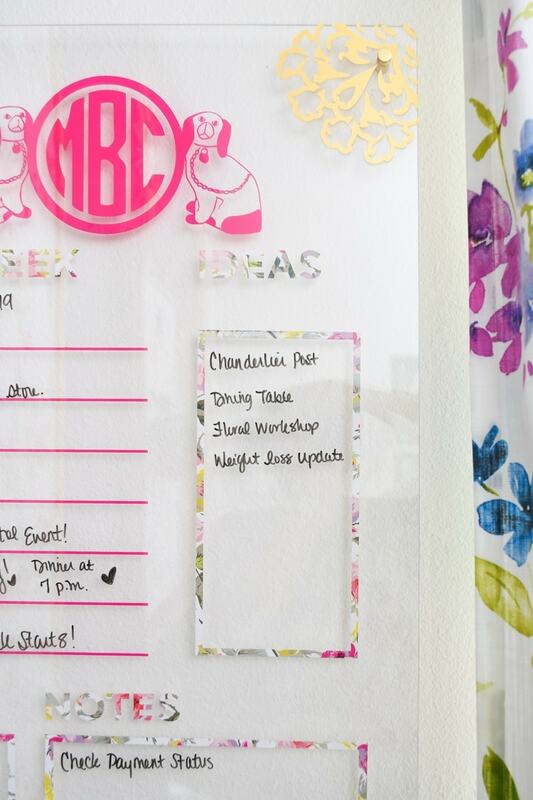 I love your bright and fun updates for spring! 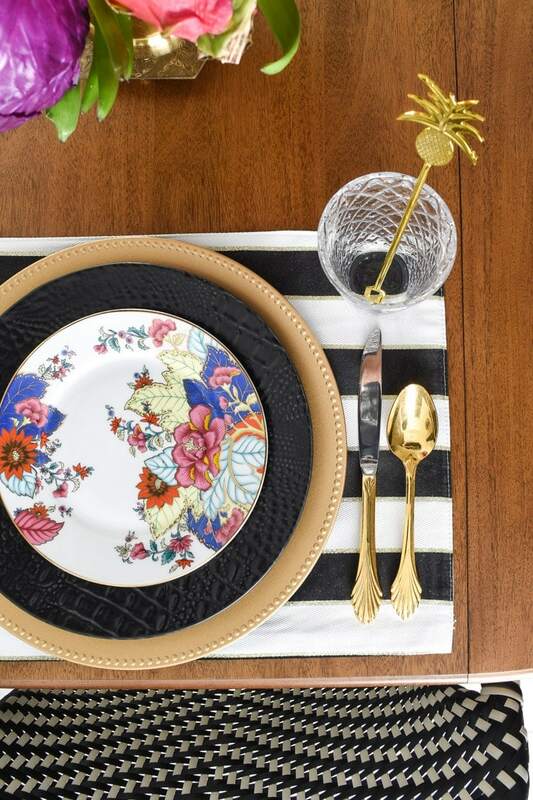 Your table is just gorgeous! Absolutely, beautiful! 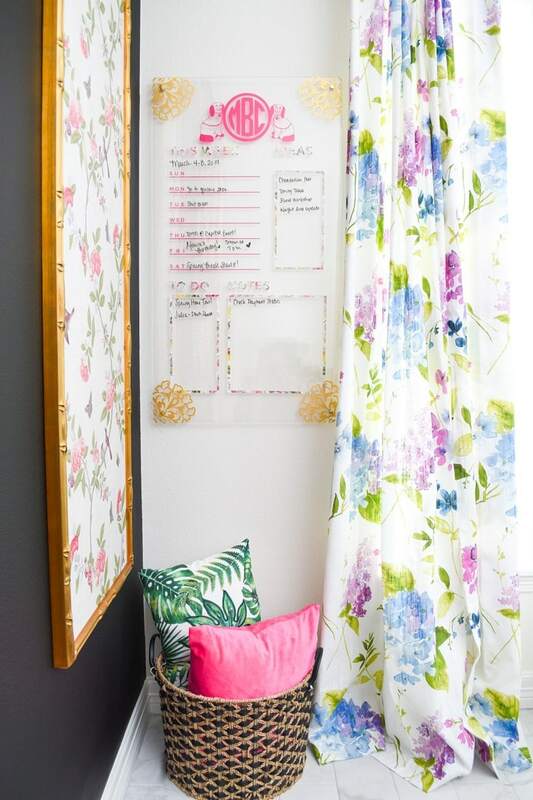 I really love your fun use of color and smitten with the wallpaper panels! Hope you are feeling better. Fun touring with you! Love, love, love your home! 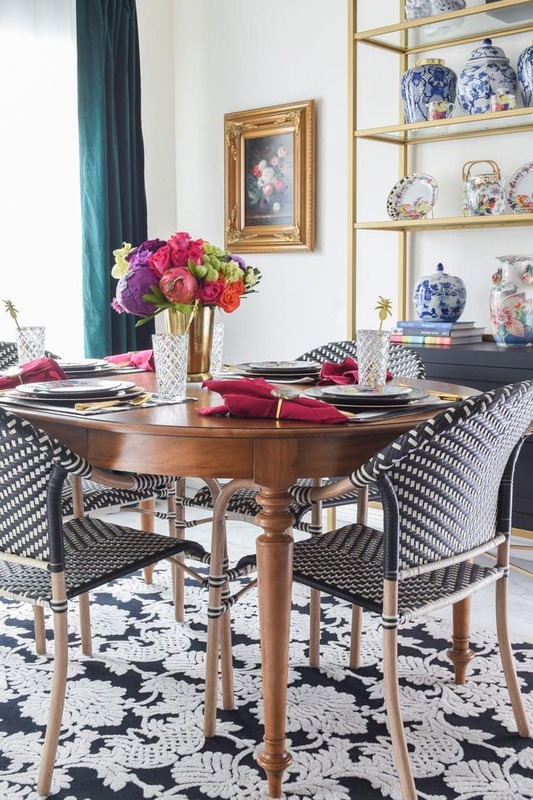 So refreshing to see color and something NOT farmhouse 🙂 Could I ask where you got your dining room rug? So gorgeous, especially that campaign chest! I always love your patterns and color! I always look forward to your tours because they’re filled with inspiration. That flower arrangement is gorgeous!! Kudos to your friend on her creativity. Glad to hear you’re feeling better… as always… thanks for the fabulous tour! So sorry that you have been sick but you still pulled off an amazing tour! I am a neutral girl but I love color and I always get a happy dose when I visit your blog. The new wood table is a stunner in your home! I am happy to be touring with you this week. Have a great spring! Monica you are the queen of color. I adore your floral arrangement. The guest bed is fabulous. So happy to be on tour with you. I love everything! Your home looks amazing as always. Such a fun and beautiful mix! So glad you are feeling better! 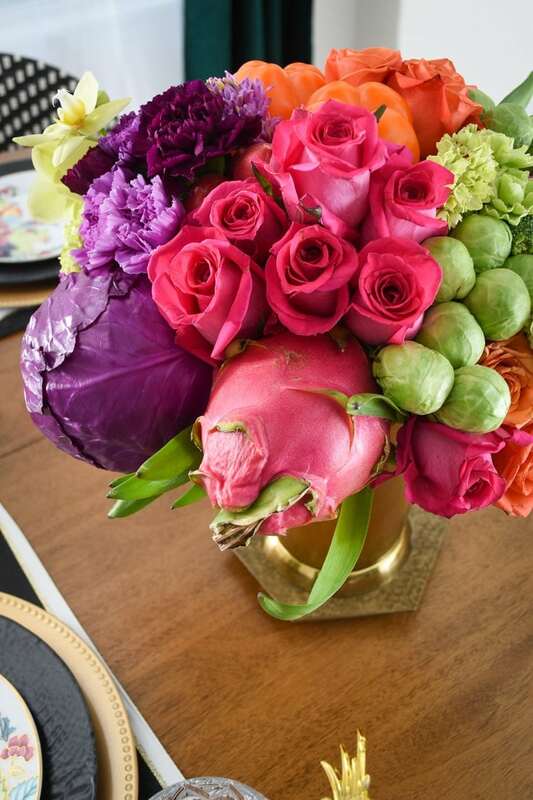 That flower/veg arrangement is to die for!!! Everything looks amazing!!! I love your new table, the addition of a wood tone is perfect, it just creates such a luxurious dining space. That floral centerpiece truly is amazing. 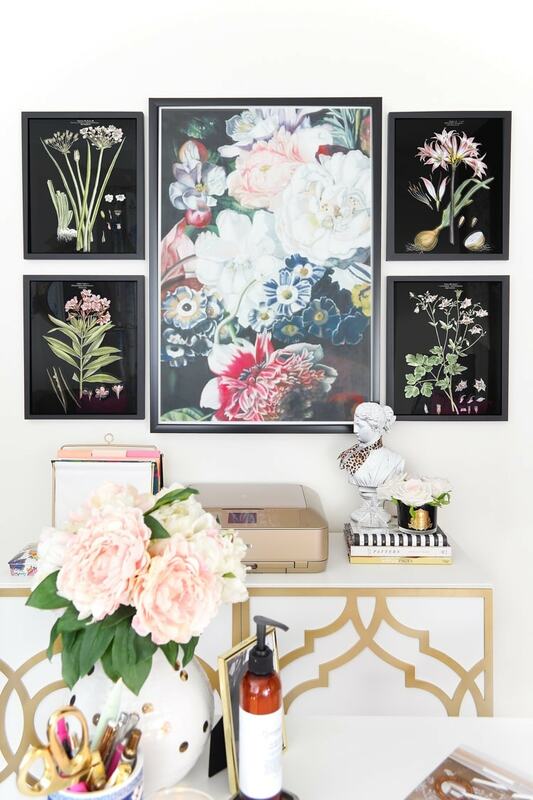 I love how you add floral design throughout your home, it is always so pretty and so stylish. 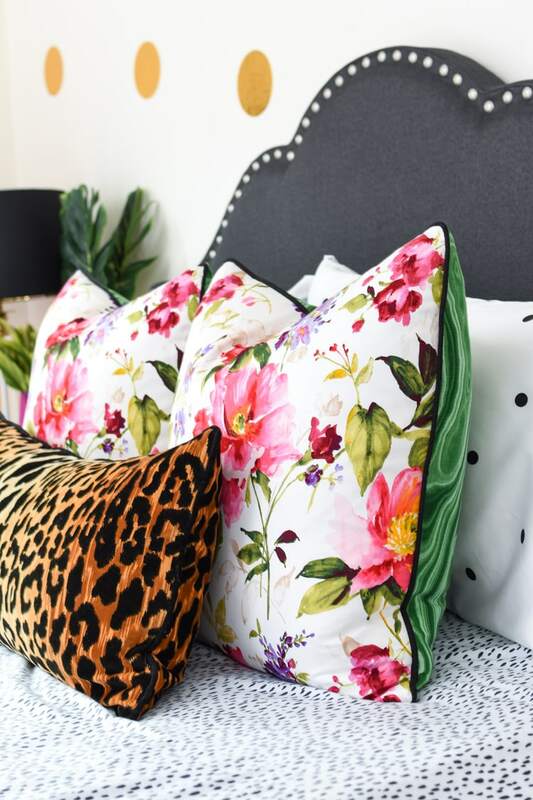 Your office is a favorite, so many gorgeous DIY projects and your guest bedroom is a real testament to Chic on a Dime. Thanks so much for joining the 2019 Spring Home Tour.